International denim brand G-Star RAW has joined the list of cool destination stores on Lincoln Road, which now includes H & M and Forever 21. 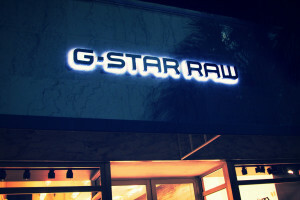 While G-Star RAW boasts a much higher price tag, it is sure to draw the same hip clientele. The new 2,600 square foot G-Star store located at 511 Lincoln Road opened its doors to denim diehards and stylish elite on January 24, with a huge grand opening bash, unveiling its best collection to a group of notable and influential attendees, who enjoyed cocktails and hors d’oeuvres while enjoying music by DJ Reid Waters. The party continued until late into the night at Rec Room at the Gale. For more than 20 years, G-Star has been a pioneer in originating the concept of “luxury denim for the streets” and popularizing raw, untreated denim as wearable and desirable apparel. The latest Miami storefront showcases G-Star’s clothing and accessory collections with strikingly minimalist interior design that conveys the brand’s philosophy, design aesthetic, and raw authenticity. The G-Star motto – “just the product” – will radiate in the store’s monochromatic décor of concrete floors and basic materials such as wood and steel. The Miami Beach location marks G-Star’s 16th store in the United States, joining a list of locations in Los Angeles, New York, Chicago, Boston, San Francisco, and Washington, D.C.
Those longingly awaiting the opening of Dylan’s Candy Shop on Lincoln Road can now rejoice in a healthy addiction being served in the back of the store: Chloe’s Soft Serve Fruit- a three ingredient dessert made with just fruit, water and a touch of organic cane sugar- that tastes like the stuff from the gods and feels creamy, just like ice cream, but will only set you back 90 calories. It is free of fat, cholesterol, sodium, gluten, fake flavors and fake colors, and contains less than 90 calories in a 3.5 oz. serving. Oh, and it’s kosher too, so go crazy! Varieties rotate seasonally, and include options such as mango (even better than the actual fruit), banana, raspberry, blueberry, pear, apple, pumpkin, blood orange, tangy tangerine, and divine, dark chocolate (made with 100% Ecuadorian cacao beans- you will hear ecclesiastic choirs singing). 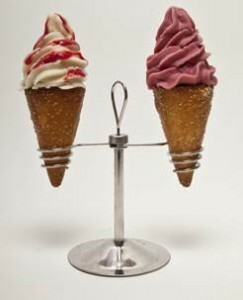 Soft Serve Fruit can be swirled in a cup or cone, prepared as a signature smoothie and also served as a pop. Celebrity fans of Chloe’s Soft Serve Fruit Co. and all of its delicious products include Jessica Biel, Serena Williams, Kelly Rutherford, Madeline Martin, Giada De Laurentiis, Jake Gyllenhaal, Jessica Seinfeld, Susan Lucci, Todd English, Anna Lynne McCord, Snooki, Chelsea Clinton, Lance Bass, Natasha Bedingfield, Tika Sumpter and Elisabeth Hasselbeck. 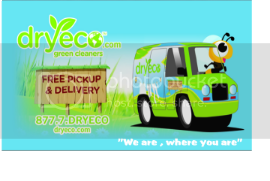 For more information on it, visit Dylan’s Candy Shop or go online to: www.chloesfruit.com. The Miami Symphony Orchestra (MISO), under the direction of the charismatic, Eduardo Marturet, presented the world premiere of its new unique compositions for its “Ocean Drive in Vienna” program on the gorgeous afternoon of Sunday, January 27 in Collins Park (right on the lawn of the Bass Museum). This al fresco concert added a twist to MISO’s most popular annual production of Viennese waltzes, polkas, and overtures by incorporating original music specifically written using famous Viennese melodies and famous Latin melodies treated in a Viennese waltz fashion, thanks to a three-year grant from the John S. and James L. Knight Foundation in support of MISO’s Composers-in-Residence program. The gorgeous concert was attended by hundreds of MISO supporters and music lovers of all ages from all over town.